This entry was posted in Comfort, Loving kindness and tagged Comfort, Compassion, Encouragement, Love, Loving kindness. Bookmark the permalink. 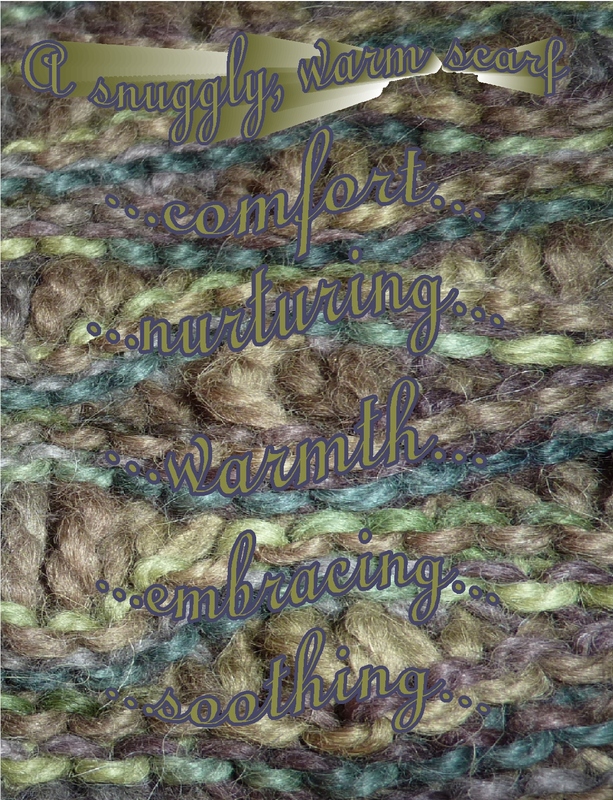 It is so warm and comforting…. 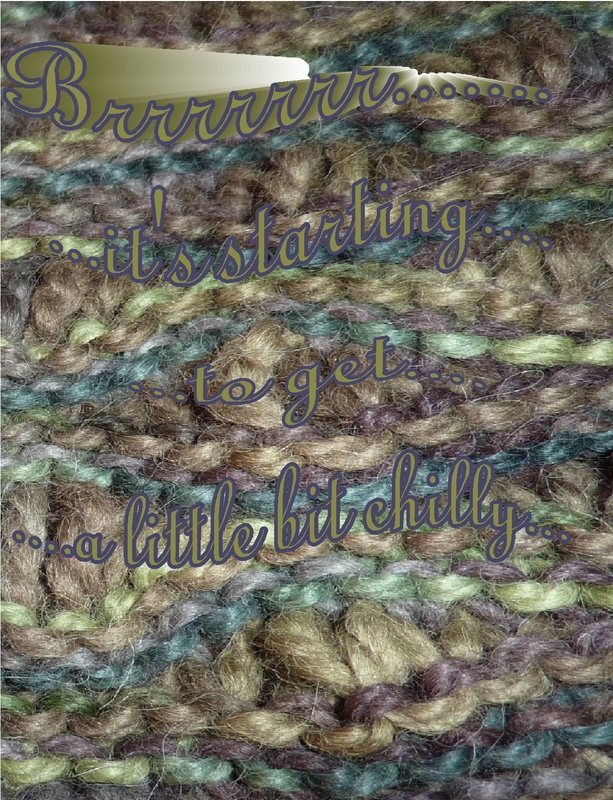 the yarn was so soft to knit with… I feel like I’m in a forest when wearing i.t (and I was in the Quinault Rainforest, Olympic NP, when I started knitting it…a truly magical spot! the scarf and the rainforest together https://pocketperspectives.wordpress.com/2012/07/15/i-pray-for-a-more-friendly-more-caring-and-more-understanding-human-family-this-is-my-heartfelt-appeal-dalailama/). Snuggle in! 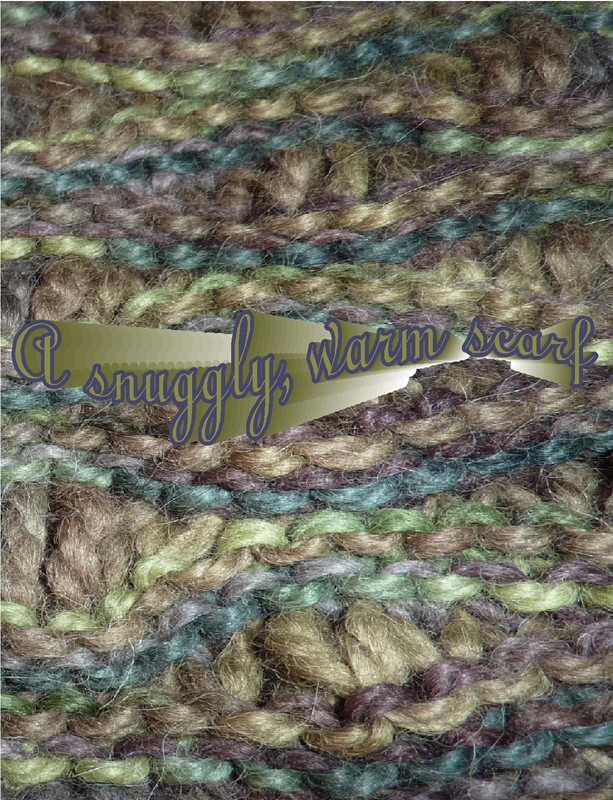 It’s soft and warm! Sending warm wishes your way.